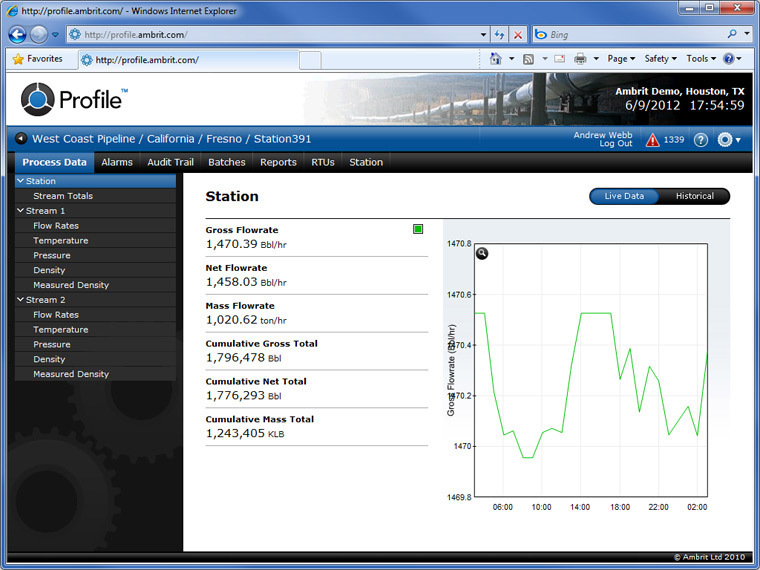 Profile™ is an enterprise-level Measurement SCADA system that automatically collects and manages all the data generated by a flow computer. 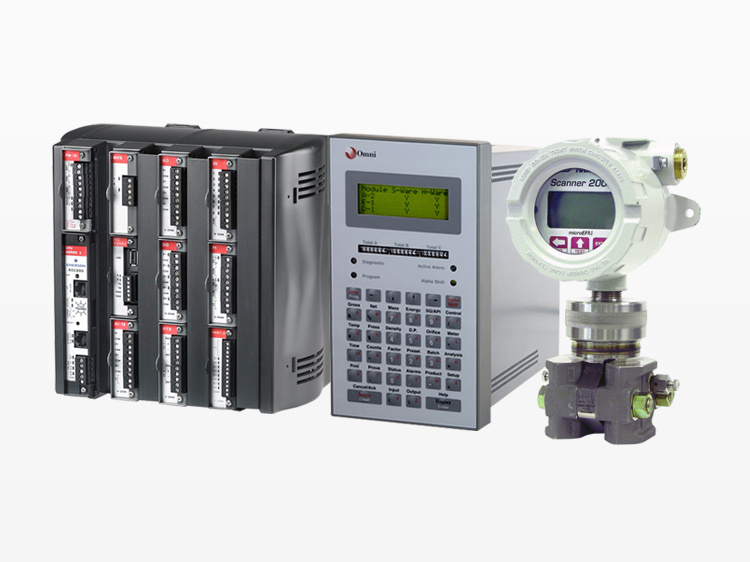 Collecting comprehensive and accurate data is the key part of any measurement system, but most large flow measurement systems are managed by traditional, monolithic Control SCADA systems that focus on the overall movement of product across an entire system but ignore the valuable measurement data generated by the flow computer. Profile is different – collecting all the production and batch data, prove results and reports directly from each flow computer on the network and storing it centrally so that it can be shared securely with technicians, engineers, managers, accountants and customers. Profile provides flow measurement teams with the information needed to perform their roles to the full whilst building a credible audit trail of the production data. With out-of-the-box installation, there is no reliance on system integrators or authorized service providers to unlock operational features or capabilities. Profile ensures consistency of service, performance, compliance, and security even for global enterprise-level deployments. The licensing and delivery model also allows Profile users to scale up and down in a fast, cost effective manner as operating requirements or asset ownerships change. 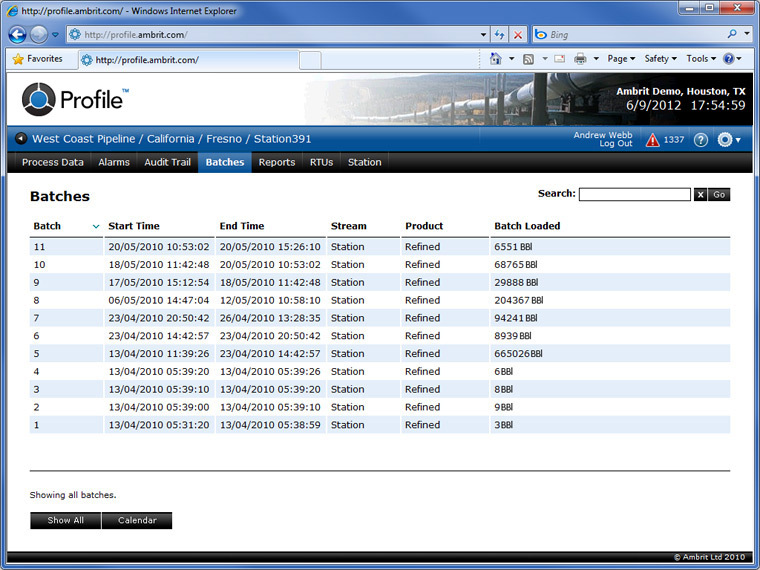 Access RTUs from anywhere on your network with just a web browser. A single server manages the entire RTU network from a centralized location and makes information in each RTU available through a well presented and easy to use web based interface to multiple users across the network. 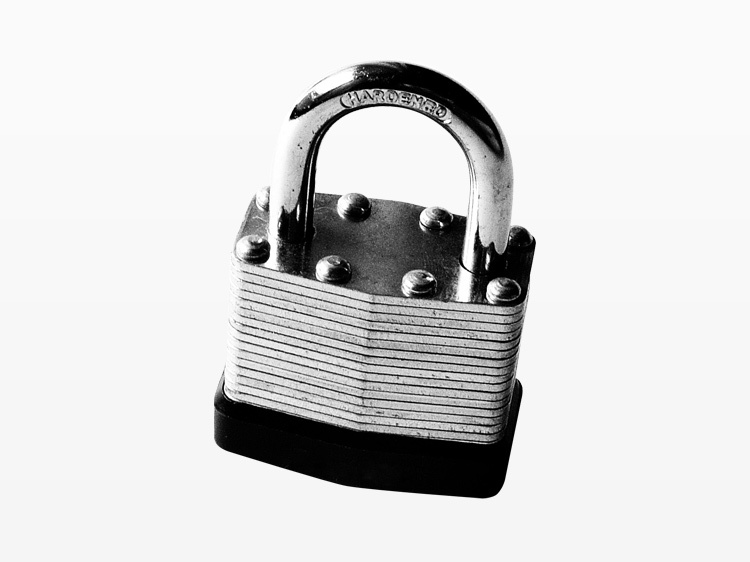 Profile™ provides you a secure access to your data wherever you are. Out-of-the-box support for leading flow computers, RTUs and PLCs, including: Omni 3000, Omni 6000, Omni RMC, Omni LMC, Dynamic Flow Computers Micro MV / SFC500, Emerson FloBoss S600, Emerson FloBoss 103, Emerson FloBoss 107, Emerson FloBoss 809, Cameron NUFLO Scanner 2000, Endress + Hauser Promass 83F, ThromoFisher M-PULSe, Solartron 7951, Solartron 7955. 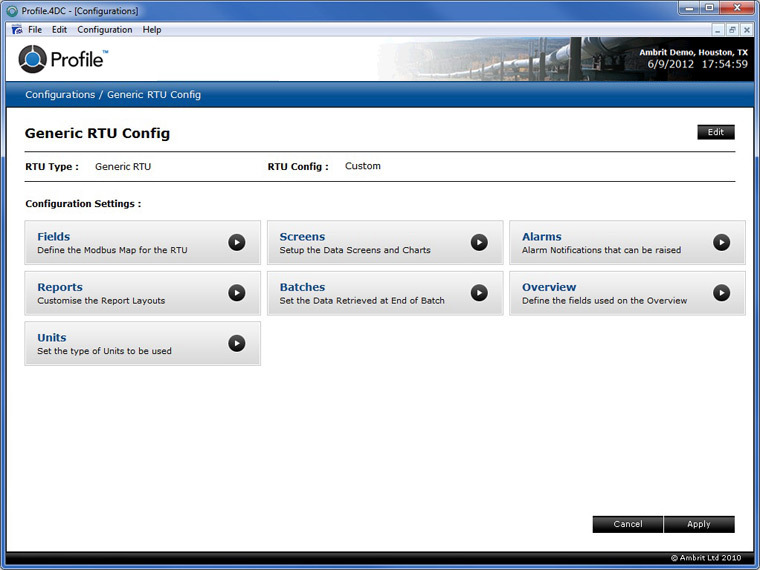 Find RTUs situated anywhere on the network without needing to know how to connect them. 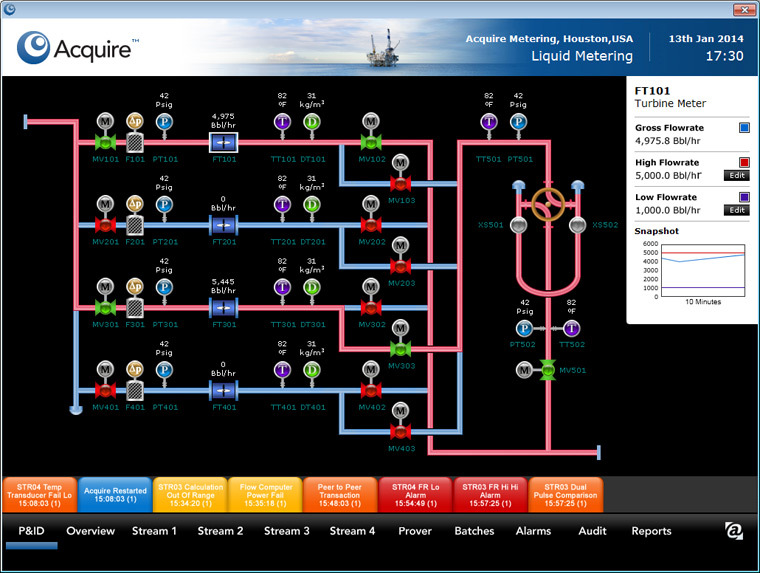 Click through graphical maps or the intuitive hierarchical menu to quickly locate the required RTU to instantly see real time data, great looking charts and a comprehensive set of reports for that device. 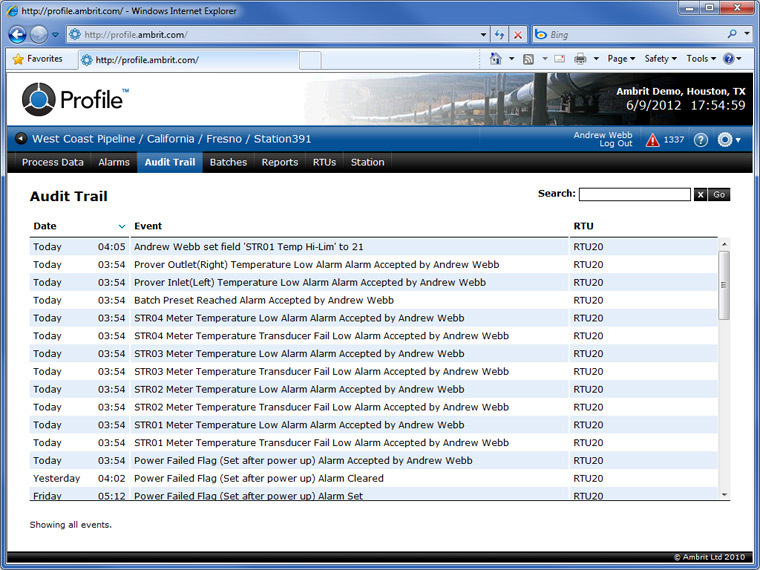 View up to date information in real time from any RTU in your browser. 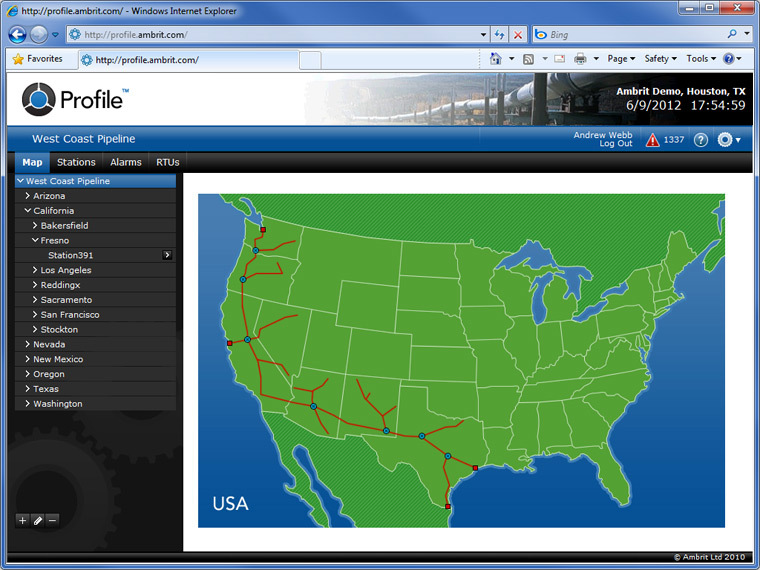 Profile™ will locate the RTU for you and will instantly display its data no matter where it is in the world. Make changes to the set points and limits, and they will immediately be updated in the RTU. All data is stored indefinitely, making long term trending and data analysis quick and easy. Data can be displayed as a chart or as a table, and can even be exported into a Microsoft Excel spreadsheet. Springing onto the screen whenever a new alarm occurs, Profile™ quickly makes it obvious that there has been an event somewhere on the system and takes you straight to the problem area. 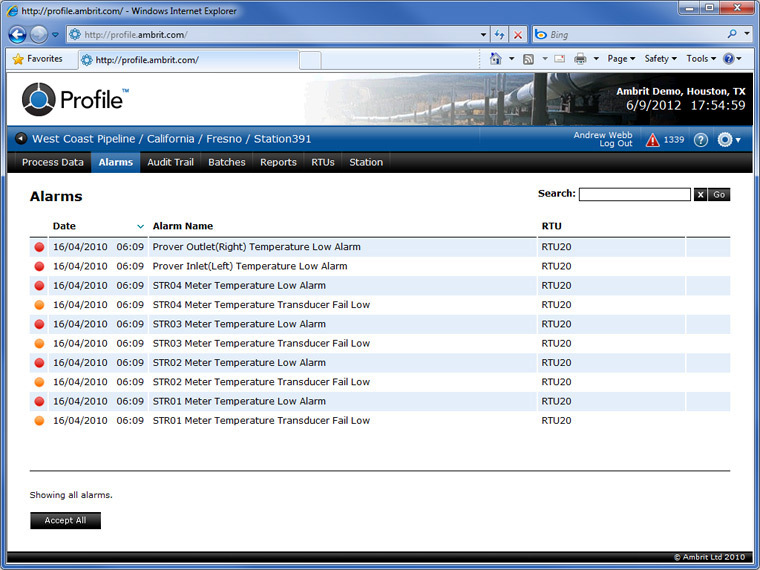 View and accept alarms for just one site or multiple sites, or manage alarm notifications via email. Maintain a full picture of everything thats is going on in the field. Configuration changes are date and time tagged with the details of the user who made the change, with remote updates and alarm details automatically retrieved from the RTU. All events are chronologically ordered and instantly searchable for full traceability and accountability. Completed batches are automatically downloaded from the RTU, along with the RTU generated batch reports. 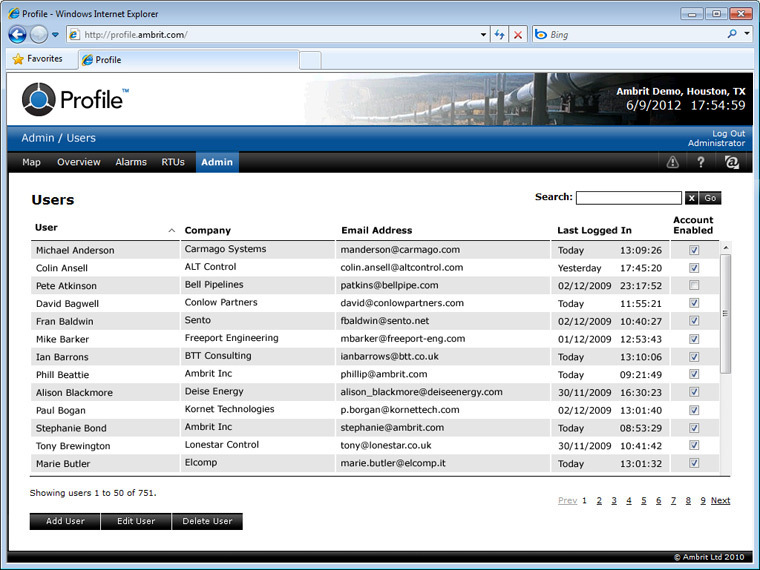 Profile™ maintains a complete database of all the batches in the system, providing full traceable history. Batches can automatically be exported into a third party system for automated billing. 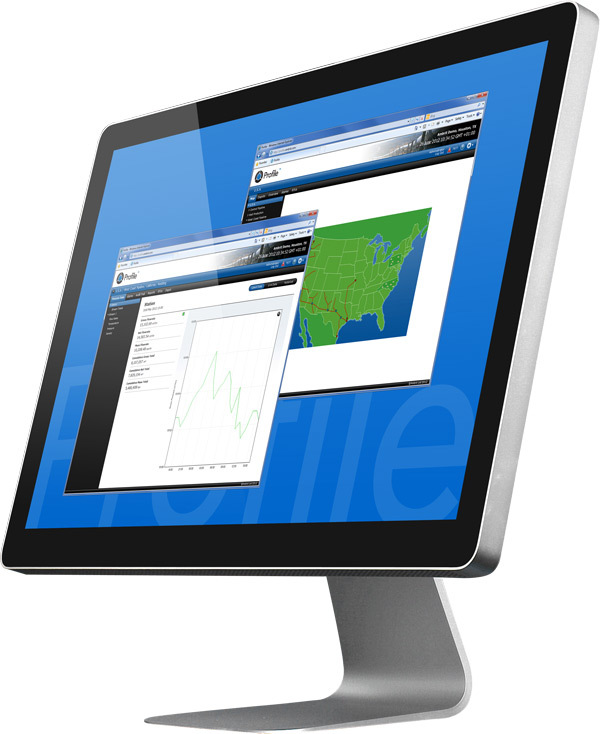 At regular intervals, Profile™ will connect to each RTU in turn and will download its report data as either a native RTU generated report or as raw data. 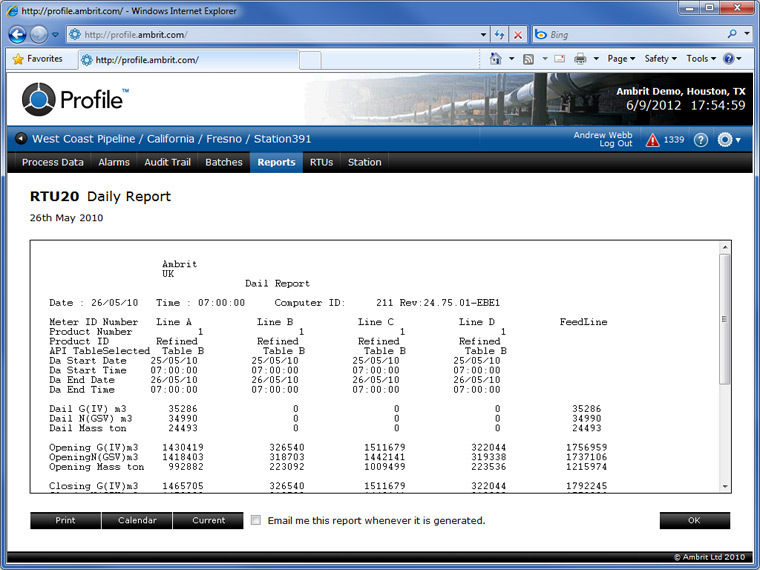 These reports are stored in the Profile database and can be printed, archived to disk or sent via email. Find archived reports easily by selecting them from a graphical calendar. Link Profile™ and Acquire™ to get seamless integration between the two applications. One click transfers you from Profile directly to the Acquire P&ID, allowing you to build a state-of-the-art distributed metering system quickly and easily. With a range of natively supported devices, setting the system couldn’t be any easier. 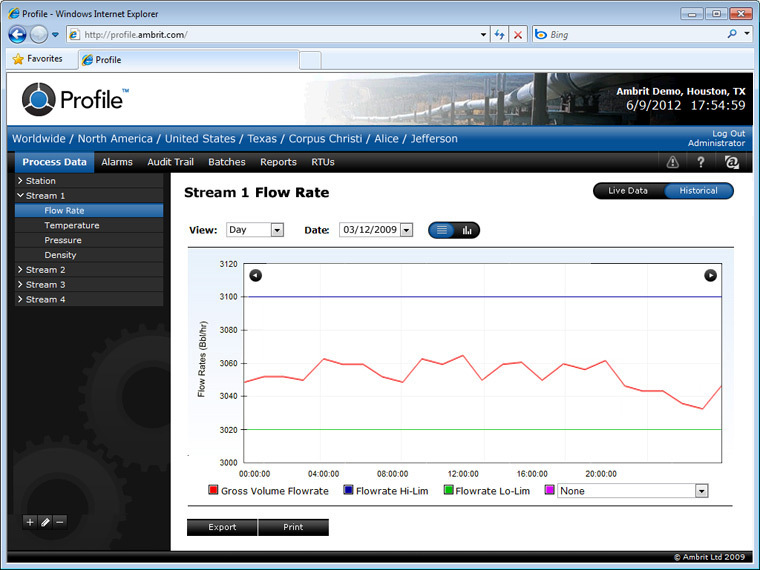 Simply drop an RTU into the system and Profile™ will instantly start talking to it and collecting data from it. Screens, reports and historical data are all managed from a centralized location; make a change once and it is effortlessly applied to all RTUs on the system. Restrict access on a user-by-user basis to each RTU with full control over what each user can or cannot see and do at each site. Use Profile’s powerful hierarchical area privileges to restrict access to prevent users from seeing controlled data, making changes or limit them ti just a particular screen or report. Profile™ is multi user straight out of the box with no restriction to the number of users that can connect and requires no expensive user licences. 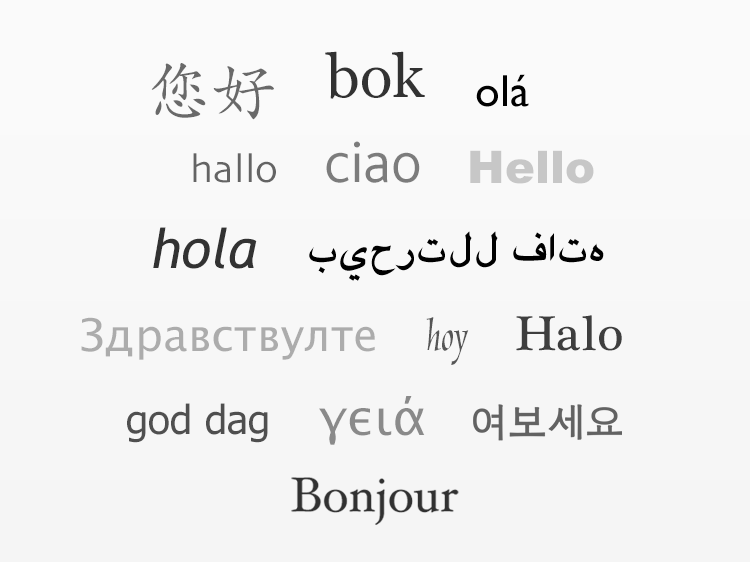 Profile™ will dynamically translate the interface to reflect the native language of the user, including script languages, such as Arabic, Russian and Chinese. 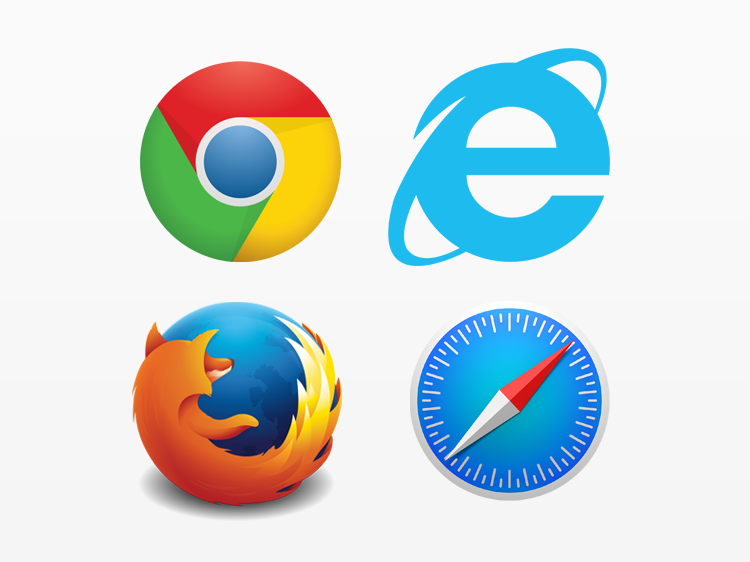 Multiple languages can be used simultaneously. Deploy the web server safely on your network with full piece of mind. Profile™ has all the latest security built in to keep your sensitive data fully protected without you needing too be an IT graduate to get going.